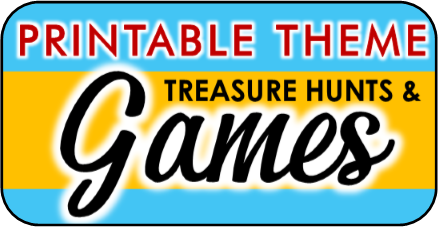 Steven Universe Printable Party Game - Treasure Hunt! 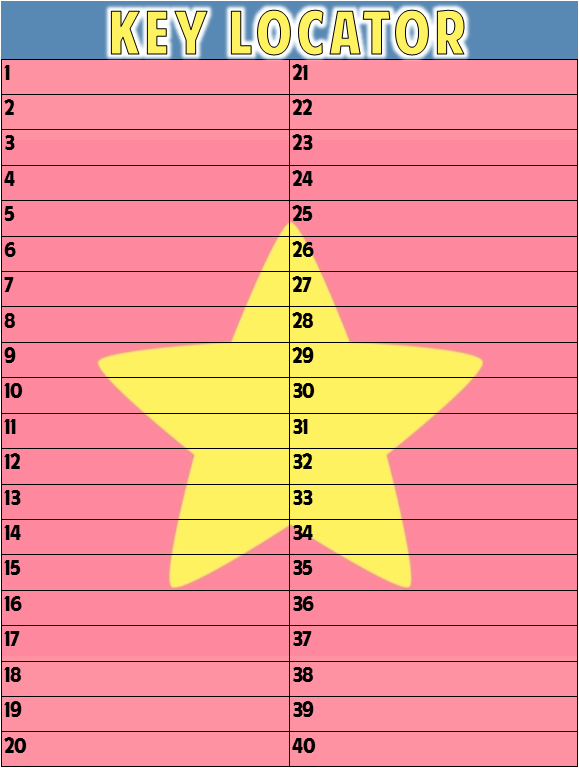 Steven Universe printable party game treasure hunt! 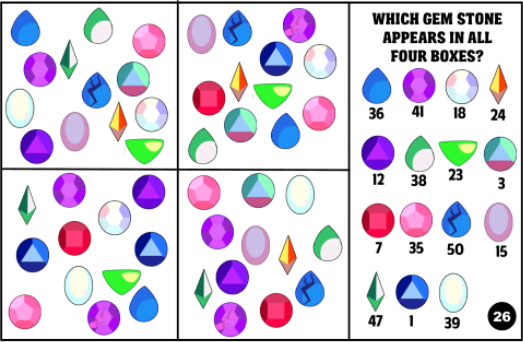 Our Steven Universe inspired treasure hunt is a printable party game that you can play anywhere because YOU decide the hiding locations for each clue. This hunt is perfect for a Steven Universe themed party. I would recommend this for ages 6 to 12. It takes between 30 - 45 minutes to play. 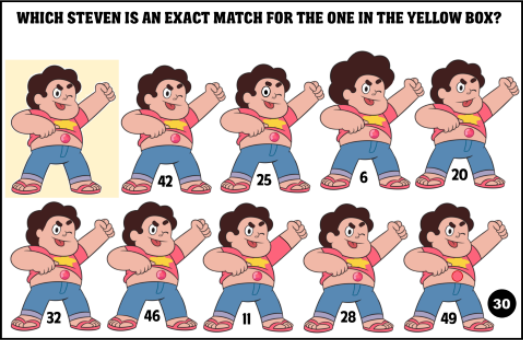 How does the Steven Universe Printable party hunt work? This clue involves a cookie cat decoder that comes with the game. Beforehand use a hole punch to punch out the eyes of the cookie cat. 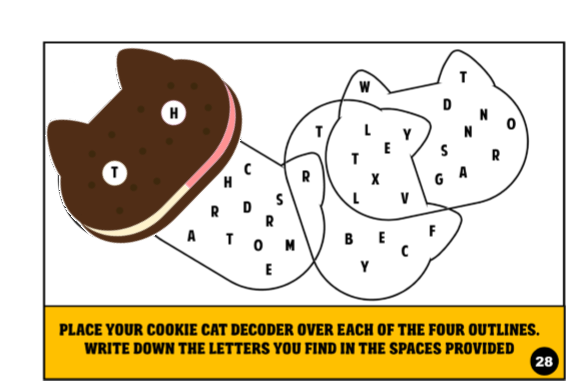 To solve players place the cookie cat over the outline of the cat on the clue. A letter will appear in each eye. There are four outlines, players circle each letter and when they are done the number of the next clue location will be spelled out. The only clue that involves additional props is the last one. 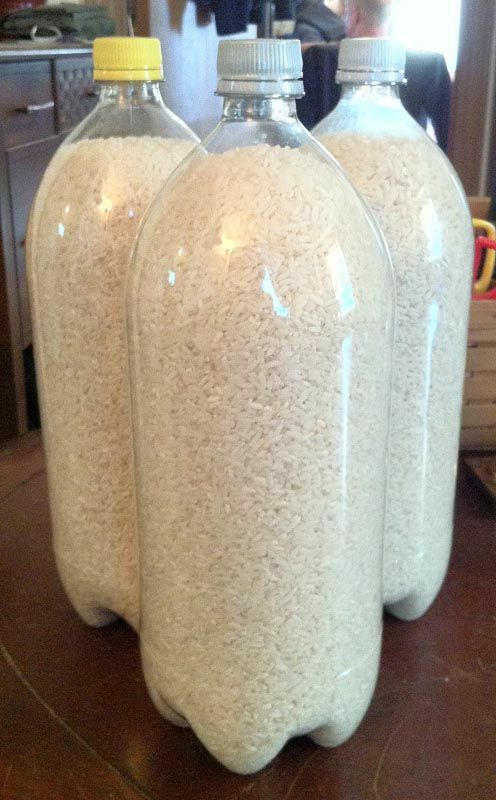 This clue involves filling an empty clear bottle with rice. You will also need five pennies in which you will glue the circle images shown on the far right (one on each side of the pennies). You will place the decorated pennies inside the bottle of rice and shake it up to hide the coins within. Glue the top on well. Players will turn the bottle to and fro until they have revealed all five coins. They will then use the Gem Decoder (shown below) to determine the message hidden within. 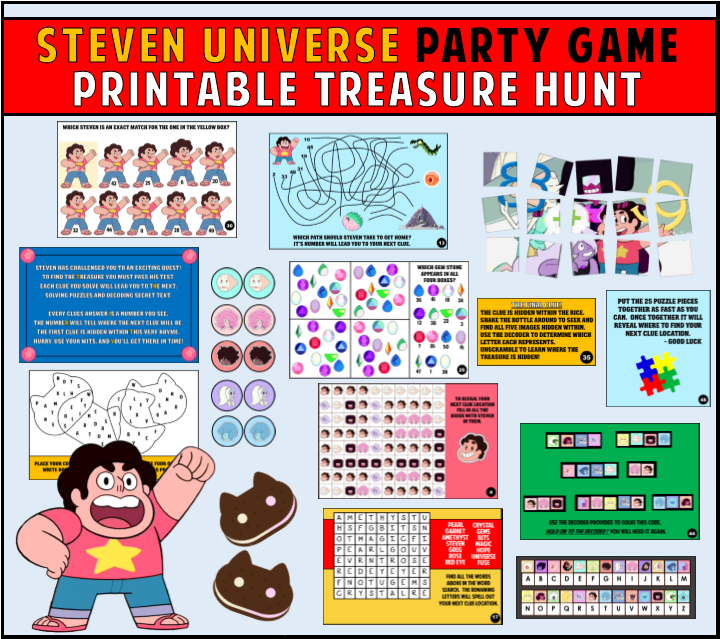 steven universe printable party game hunt? 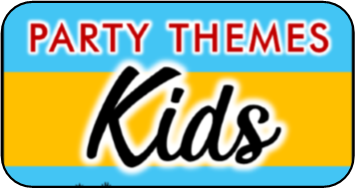 It truly depends on your group of kids and how hard you hide the clues. Usually around 45 minutes. 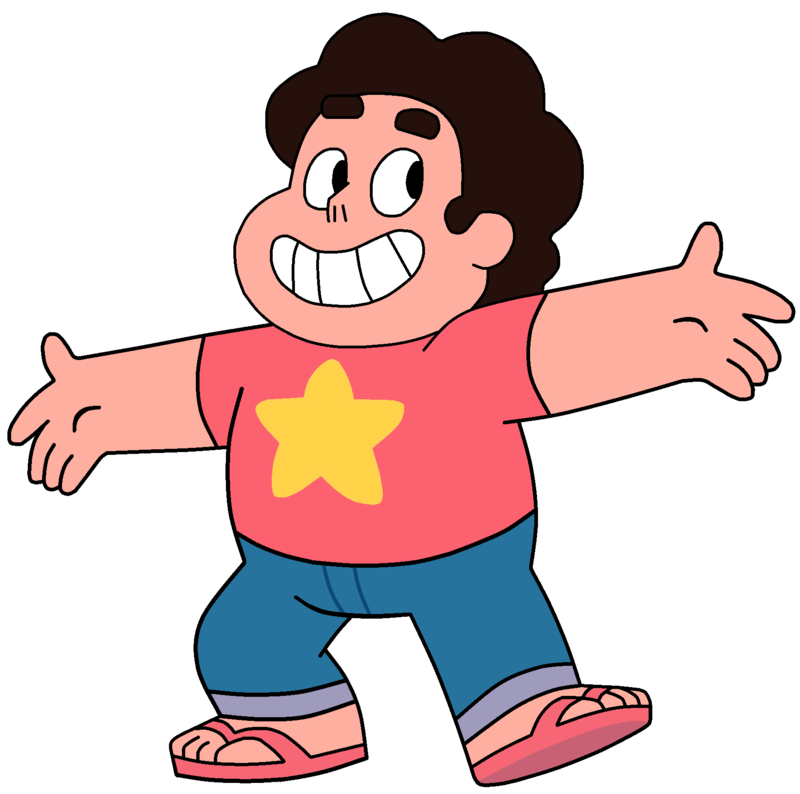 what all is included in the Steven universe hunt? GET Your Steven Universe Hunt Now!